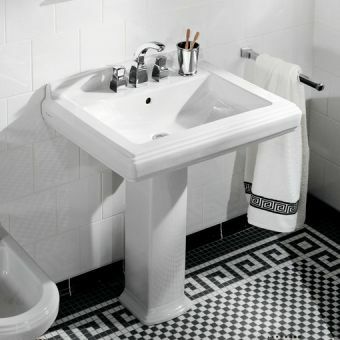 Traditional features continue to be popular and this popularity extends to bathrooms. 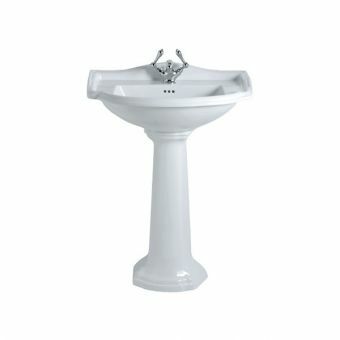 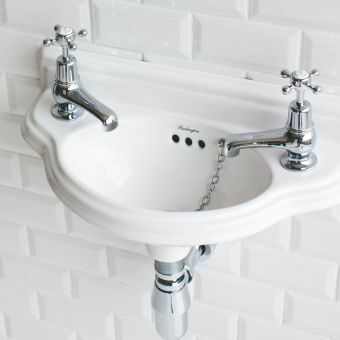 Here at UK Bathrooms we have the finest collection of traditional basins. 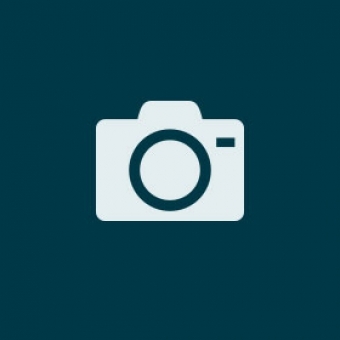 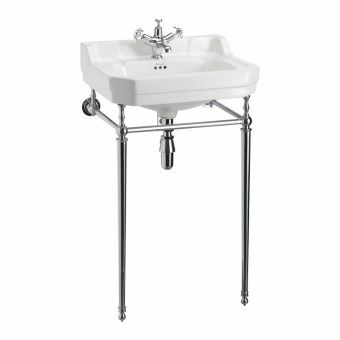 There are substantial discounts with all our products and some even offer free delivery. 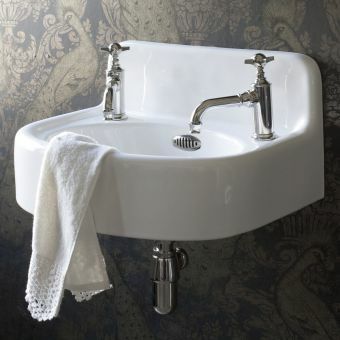 Which bathroom sink should you buy? 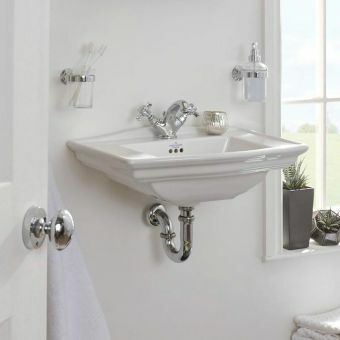 When looking for a traditional or a Victorian Bathroom style basin you will already have narrowed down your scheme to more classic tastes, your other deciding factor will be size and functionality. 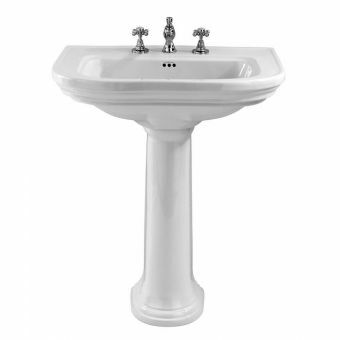 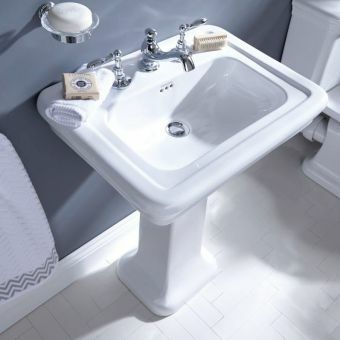 There are specialist cloakroom traditional basins on the market if you are looking for a cloakroom or small ensuite option, Burlington make a slim cloakroom basin with matching furniture, or a corner option for the best use of tricky spaces in small bathrooms. 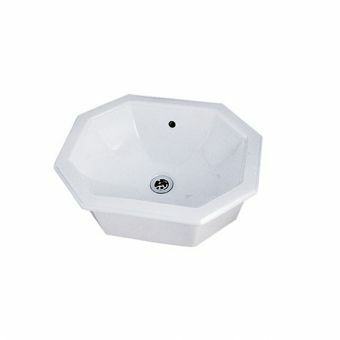 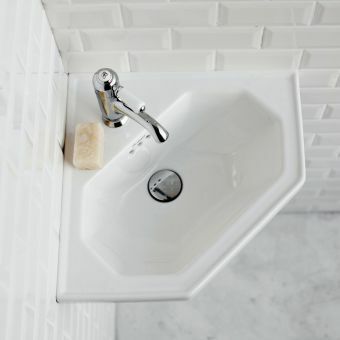 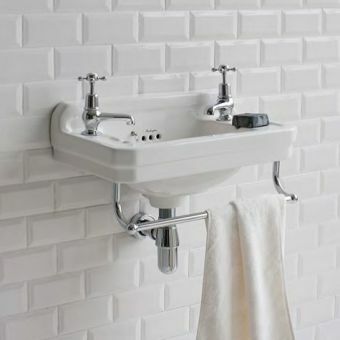 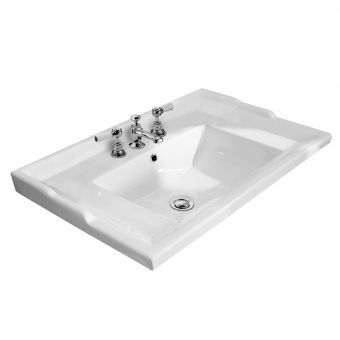 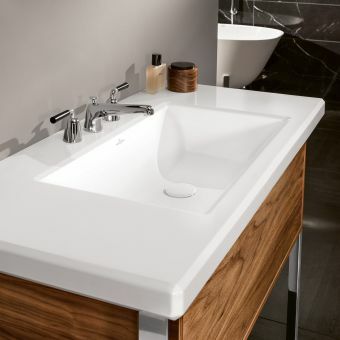 Roper Rhodes have a very popular range of cloakroom basins with units: Hampton. 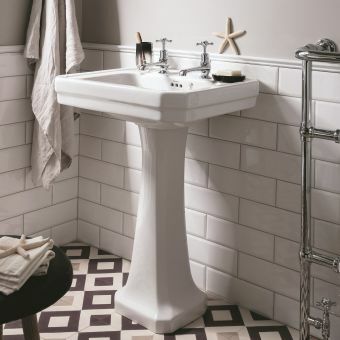 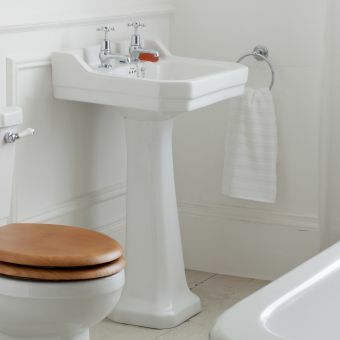 Other options for smaller bathrooms and cloakrooms in a traditional style include the Burlington Victorian and Edwardian Curved Cloakroom basins. 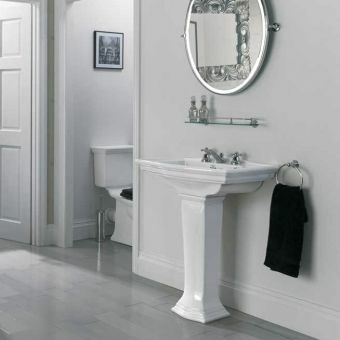 Imperial bathrooms, one of the UK’s leading British made bathroom ceramics manufactures also have a fantastic range of cloakroom furniture in a classical traditional style with matching, slimmer cloakroom basins such as the Thurlestone Cloakroom unit. 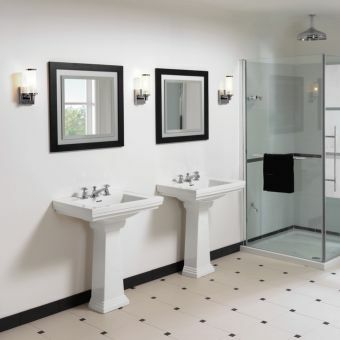 Should you have more room in your bathroom layout for example in master bathroom renovations or family bathroom designing, you may choose for something more lavish. 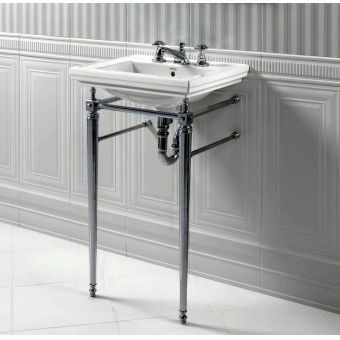 There are double washbasin options for a couple sharing their washbasins on a morning, Imperial manufacture a stunning range of double basins with matching basin washstands and extra-large mirrors for a classical contemporary twist on Victorian bathroom style, these are around 1200mm in width. 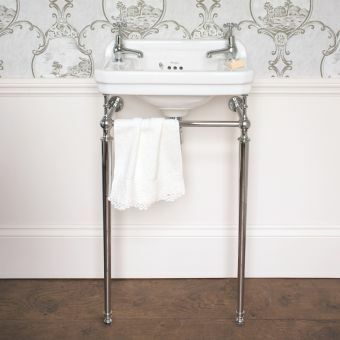 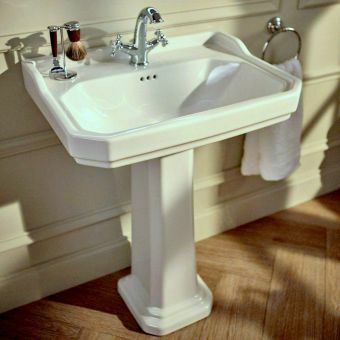 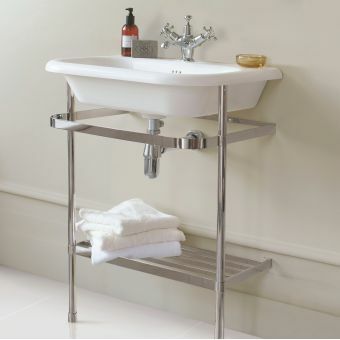 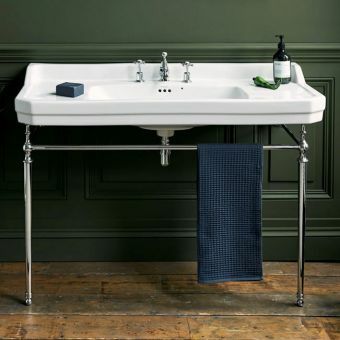 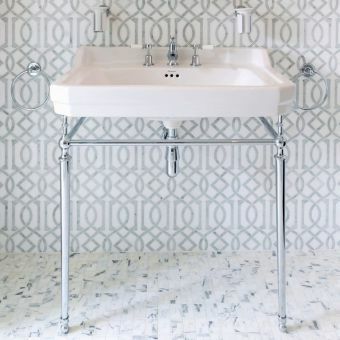 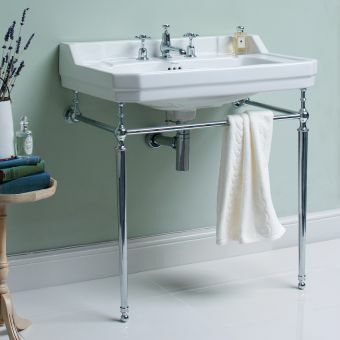 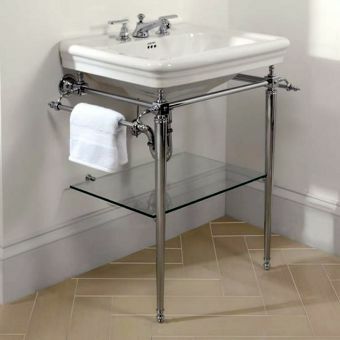 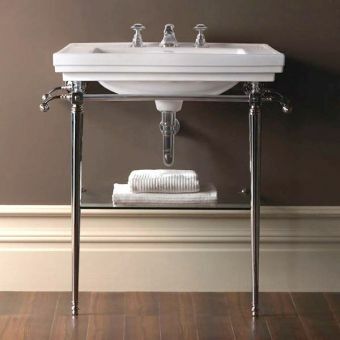 The next size down tends to be around 800mm, these are not small on any scale and offer a very large washing area, most brands we sell such as Imperial and Burlington will also offer a washstand in addition, washstand basin consoles look lovely with larger basins, or should you wish there are pedestals or semi pedestals. 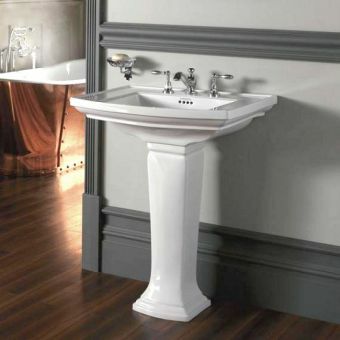 You may wish to go for a vanity unit with a basin on top, which is a smart choice as vanity units offer hidden storage which is always a bonus in helping reduce clutter and keeping the home looking neat and tidy – something most of us find very important in our new bathrooms and for good reason. 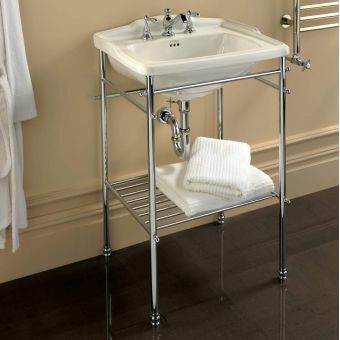 Some manufacturers have entire matching ranges should you wish to match the vanity unit to other pieces of furniture such as tall storage units. 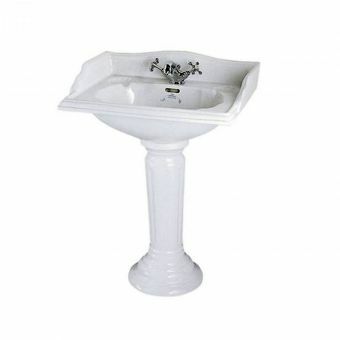 Victorian vanity basins often have flat shelf areas to the sides of the basin for storage, and some have recessed areas to hold soaps. 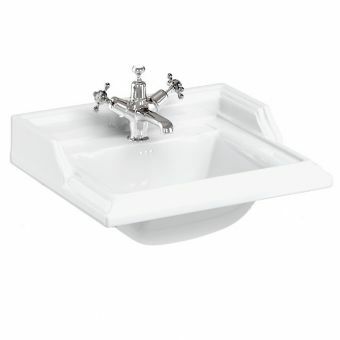 Victorian and Edwardian bathroom basins were very heavy and with archaic wall fixings and construction of days gone by relied on a pedestal for stability, this isn’t the case nowadays as basins are fitted to the wall via fixing bolts and a timber frame, metal basin frames are available but these are generally only used on the continent or in commercial situations. 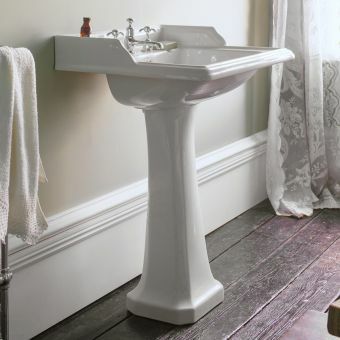 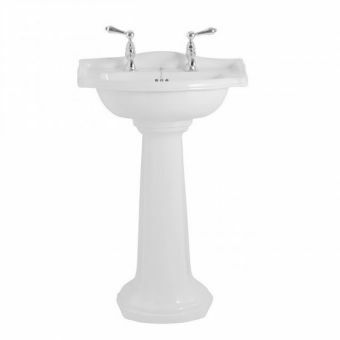 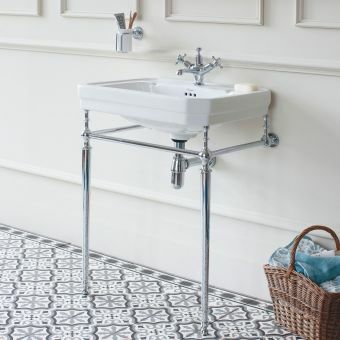 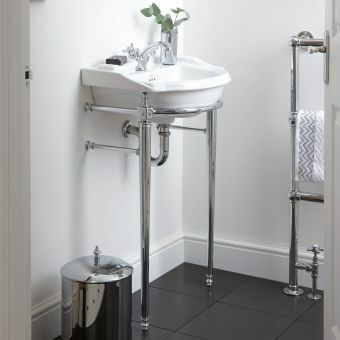 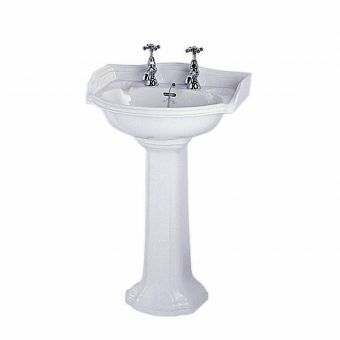 Purchasing a semi pedestal or full length pedestal with your Victorian style basin is a great way to achieve the authentic Victorian look, and conceal your pipework and plumbing.